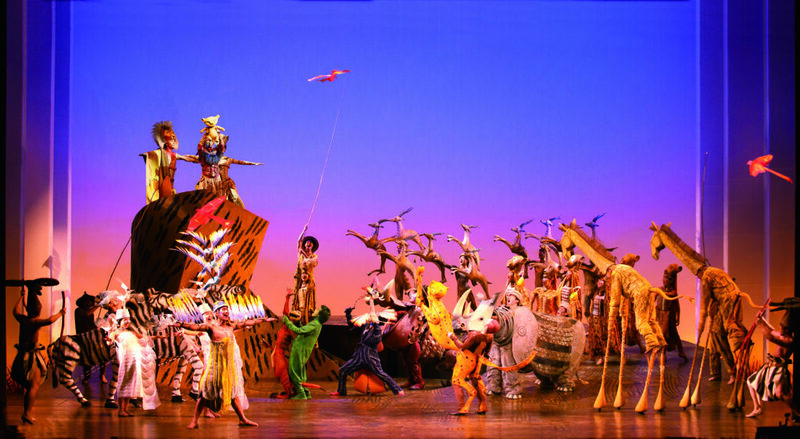 What> Experience Broadway’s award–winning best Musical with the stunning artistry, unforgettable music and the exhilarating choreography of Disney’s The Lion King. It is the story of a young lion prince living in the flourishing African Pride Lands. Born into the royal family, precocious cub Simba spends his days exploring the sprawling savanna grasslands and idolizing his kingly father, Mufasa, while youthfully shirking the responsibility his position in life requires. A vibrant and exciting tale from the great creatives at Disney, The Lion King is a story of love and redemption that nobody should miss.